Below you can find information for each one of the DeepEX additional modules. DeepEX performs slope stability analyses according to several methods (Bishop, Morgenstern-Price, Spencer, Swedish methods), so that user do not have to export data to another package. Soil nail design requires carefull consideration of many parameters. Constructing a soil nailed wall involves reinforcing the soil as work progresses in the excavated area by the introduction of passive bars, which essentially work in tension. These are usually parallel to one another and slightly inclined downward. These bars can also work partially in bending and by shear. The skin friction between the soil and the nails puts the latter in tension, and transfers acting soil forces deeper within the soil mass. Using this method, and working from the top downward, a mass of reinforced soil is gradually built up. In order to keep the soil from caving in between the bars, some sort of facing needs to be installed. This facing is generally constructed with some shotcrete reinforced by a welded wire mesh. This facing can be vertical, battered to a wide variety of angles, or made up of a series of benches. The passive bars are often referred as “nails” and the soil reinforcing technique is known as “soil nailing”. Once constructed, a soil nailed wall shows a certain similarity with a Reinforced Earth wall. However, the fact that a soil nailed wall is been built downward with the soil being reinforced in situ, while a Reinforced Earth wall is constructed by building an embankment that is then strengthened as the work progresses, constitutes an essential difference between the two. 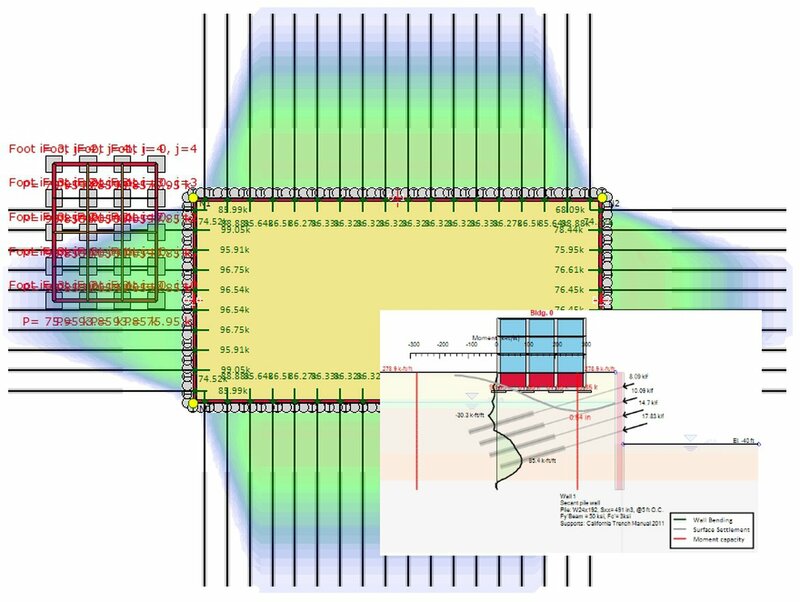 DeepEX can also design soil nail walls as it incorporates the recommendations by the French Clouterre, AASHTO LRFD, and Eurocode. The slope stability and soil nailing module is included in the standard DeepEX version, DeepEX Ultimate. With the cost estimation module activated, DeepEX can perform preliminaly full cost estimation for the deep excavation project. User can define local parameters (location, currency, basic cost options for several parameters) and the software can calculate all costs (labor and materials). The results are presented in tables. 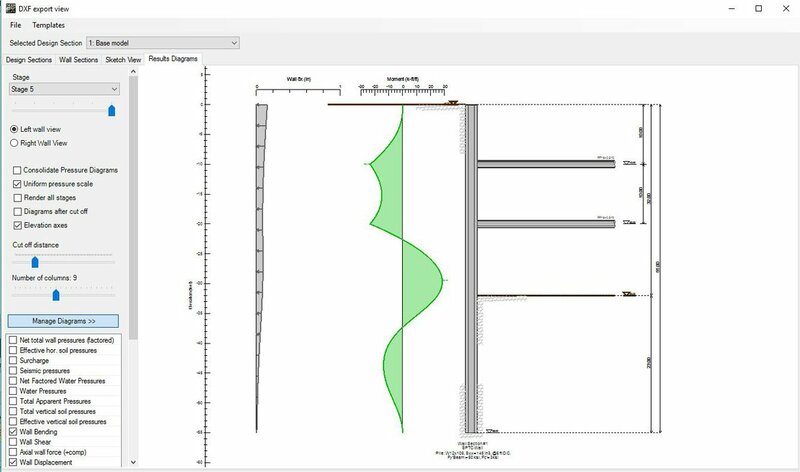 The frame module enables you to design excavations supported by walers, struts and tiebacks. The 3D definitions consist of an external project perimeter and an excavation perimeter. A wall perimeter is typically assigned to the excavation perimeter, with the possibility of assigning a different wall section (relating to a design section) on each wall segment (between nodes). Walers are attached to wall segments, and different loads along the waler from different design sections can be defined. Once the walers are in place, struts can be drawn between walers and the excavation shoring can be analyzed. Based on your analysis results, DeepEX will pick up the load from each design section and figure out reactions and stress checks on walers and struts. The frame module works better for box shaped excavations, additional modelling maybe required for re-entrant corners or special conditions. Some simplifying assumptions are made regarding how axial loads are distributed. DeepEX offers the possibility to use a gravity retaining wall. User has the flexibility to create basic types of retaining walls such as full gravity or with stem. DeepEX calculates the sliding and overturning safety factors of the diaphragm wall. Flexural, reinforcement can be included where ever desired. A gravity wall can also be used as a pier or an abutment wall with piles. 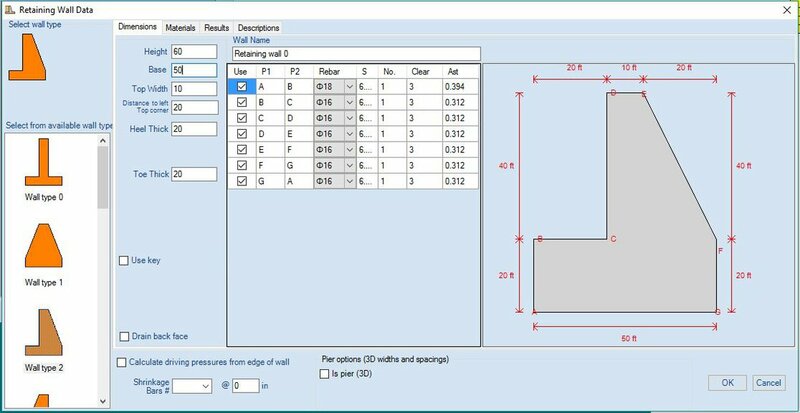 The Export drawings to DXF module enables you to export all 2D sections to DXF, saving you a respected amount of time and effort. DeepEX exports all design sections, wall sections and top site view to DXF. All DXF files can be later accessed and modified using any CAD software. Sketches with result diagrams for each construction stage can also be exported to DXF using DeepEX. User can easily manage the export font size through a robust dialog. DeepEX is the only software that can easily assess the damage potential of ajdacent buildings next to an excavation. DeepEX uses thorough methods to estimate potential crack widths and building settlement in three dimensions. The program then accesses for critial building elemens the damage potential as negligible, slight, moderate, severe, or very severe.